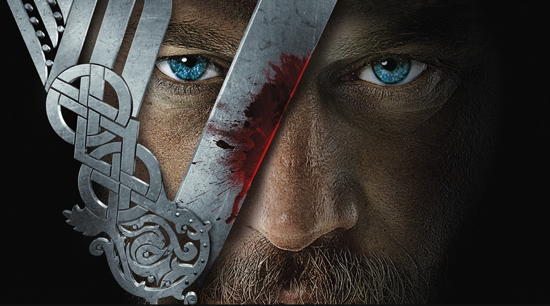 As we told you before, we’re very interested in History’s upcoming show Vikings. It seems to have all of the elements we love in a show. Action, drama, swords and epic heroes and villains, Vikings looks to be a fun and entertaining way to spend sixty minutes. And now, to get you ready for the show’s premiere, we’ve got more previews and whatnot for you to enjoy. Our story begins in 8th century Scandinavia where Ragnar Lothbrok is a warrior and a farmer who dreams of finding riches by bucking the tradition of raiding to the east. Ragnar has been working in secret on a project that will turn the Viking world on its head. But first Ragnar must convince the leader of his community, the powerful Earl Haraldson, who is none too happy to share in the renown that this journey could bring to Ragnar if it’s successful. Vikings Premieres Sunday at 10/9c on the History Channel. Check out the videos after the break. You have got to hand it to the India film industry. They mostly turn out movies we will never understand which feature lots of dancing. However, occasionally they come up with a gem that’s just so blatantly absurd it turns out to be awesome. I’m talking about, of course, the amazing film Endhiran (aka Robot) which has the distinction of being the most expensive movie ever made in India. Check out the compilation video we’ve got after the jump and see this movie that’s an amazing combination of I, Robot, The Matrix, The Terminator and pretty much most other popular sci-fi movies you can think of. And yes, there’s also dancing. Come on, did you really think there wouldn’t be? Check out the video after the jump. As an added bonus, we’ve also got another trailer for you to enjoy of a film we fondly remember as the first time the Indian film industry decided to make an homage to American films. Yes, it’s the trailer for the Indian Reservoir Dogs/Usual Suspects called Kaante. Enjoy and you’re welcome. The Tourist really wants to be the perfect Saturday night date movie. It is the kind of film that could be described entirely in clichéd one-liners, but that’s okay because it embraces this and wants to be entertaining nonetheless. Full of intrigue, romance, espionage and glamour, what it is lacking is nothing on the surface. The problem is that there is nothing more to the film than its exterior. It is stylish, chic and not difficult to watch, but there really isn’t any more substance to it than an unsigned “Wish You Were Here” postcard of Venice. Directed by Florian Henckel von Donnersmarck, whose film The Lives of Others won the 2007 Oscar for Best Foreign Language Film, The Tourist should be in good hands. It was written by Donnersmarck, as well as two other very capable writers: Christopher McQuarrie (The Usual Suspects) and Julian Fellowes (Gosford Park). These are people that know how to make a good movie. Add stars like Johnny Depp and Angelina Jolie and something delicious should be boiling at the surface, instead it felt more like a bowl of microwaved condensed soup. A loose remake of the 2005 French film Anthony Zimmer directed by Jérôme Salle, the film is a giant nod to the great romantic crime capers of the 50s and 60s, most obviously Charade and To Catch a Thief. It is about a tourist, Frank Tupelo (Johnny Depp), a math teacher from Wisconsin who meets a striking, mysterious woman called Elise, played by Angelina Jolie.